How to get to Angol? 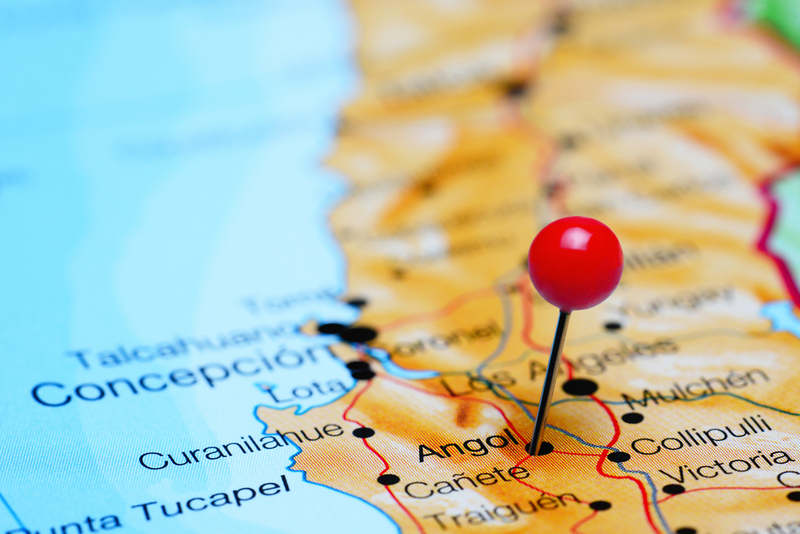 Angol is 126 km from Temuco, 33 km from Collipulli, and 575 km from Santiago. There is no direct access by plane but you can take one of the daily flights from Santiago to Temuco’s Aeropuerto Maquehue and from there get transportation to Angol. Travelling from the north or south, you can get to the town via the Pan-American Highway, or Ruta 5. Turn off the highway at Collipulli, and from there it is 33 km on a paved road to Angol. You can get to Angol from Temuco leaving from the Terminal de Buses Bío-Bío on Calle Lautaro 853, telephone 210 599, Temuco, and arriving at the Terminal de Buses in Angol, telephone 711 777. Timetable: 13 buses a day Monday to Saturday and 12 buses on Sundays, all year round.